After the lacklustre initial public offering of its US business last year, Axa returned to the market this week with a further sale of its stake in Axa Equitable. The deal raised net proceeds of US$1.5 billion for the company as it undergoes a strategic transformation, most notably through the acquisition of XL. But Asia is also an important focus for the group as part of its Ambition 2020 plan. “The successful placement of another tranche of EQH shares, leading to the deconsolidation of EQH from Axa’s financial statements, represents a major milestone in Axa’s transformation journey, and provides additional financial flexibility for the group, notably in the context of our stated priority to reduce leverage,” said Thomas Buberl, Axa’s chief executive. However, the sale price was not much better than the IPO in May, which was originally pitched to investors at US$24 to US$27 a share but ended up at a disappointing US$20 — and investors haven’t changed their mind about how much the company is worth since then, with this week’s offering pricing at US$20.50. Indeed, the sale will be reflected on Axa’s balance sheet as a €700 million (US$786 million) loss given the difference between the consolidated book value and the actual market price. 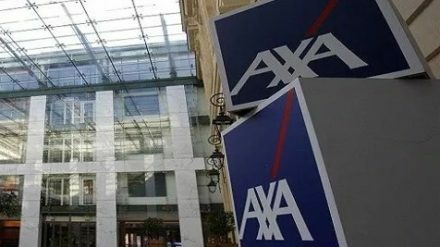 Axa investors remain uncertain about the company’s strategy, with its share price experiencing several wild swings during the past year — it lost more than 20% of its value during the last three months of 2018. As the company moves forward, Asia will be a key focus. Gordon Watson, who now heads the business in the region, conceded that “Asia has underperformed over the past few years” during Axa’s investor day in November. In 2018, Asia contributed 9% of the company’s gross revenues and 23% of new business, with a footprint that covers China, Hong Kong, Indonesia, Japan, Korea, the Philippines and Thailand; it has more than 8,000 staff in the region. China is an obvious focus in achieving that and Watson’s comments in November coincided with the company taking full control of its China joint venture, Axa Tianping, which is by far the biggest foreign-invested property-casualty insurer in China with premiums in 2018 that were double that of the nearest competitor, Taiwan’s Cathay Insurance. “We can reach through the licences that we already have almost 80% of the Chinese population and that 80% accounts for 87.3% of the GDP of China,” said Watson, who added that the strategy in China going forward will involve upgrading its technical expertise, improving claims management and operational efficiencies, and reducing loss ratios. In addition, Watson is looking to build Axa’s agency distribution model in the region, grow the health side of the business and build local brand recognition. Across the region, new business annual premium equivalent in Asia was up 5% on a comparable basis, mostly driven by the success of new products in Japan and Hong Kong, as well as the strong performance of bancassurance and agency channels in the Philippines. But last year’s results also show that there is plenty to do, as new business fell in China, due to lower sales of traditional savings products; Thailand, mainly driven by lower sales of low margin products; and Indonesia, thanks to lower new business in both agency and telemarketing channels. Axa’s partnership with British football club Liverpool, announced last October, is a key plank of the company’s effort to build its brand in the region through “innovative experiences for clients, partners and fans in Asia”. The team is followed by millions of people in the region, particularly in China, Hong Kong and Thailand. While investors are still on the fence about the company’s outlook, most of their concerns centre around the amount of debt the company has taken on as a result of its acquisition of XL. Strategically, its focus on Asia as a growth engine is sound. Going forward, execution will be key.